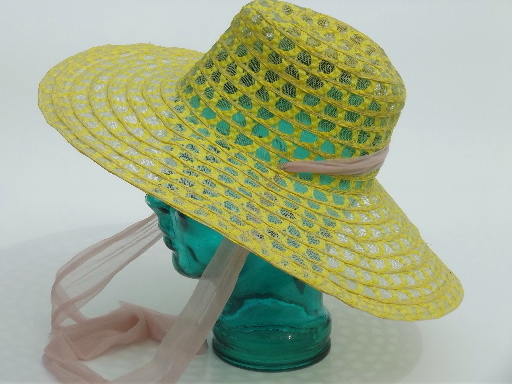 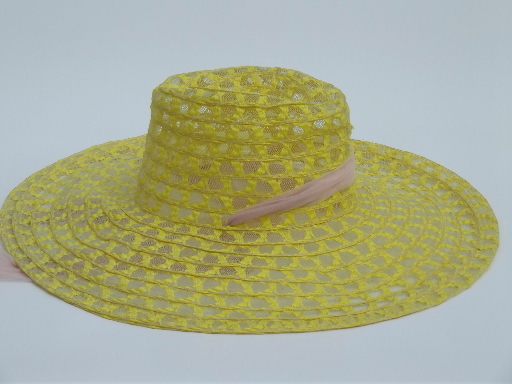 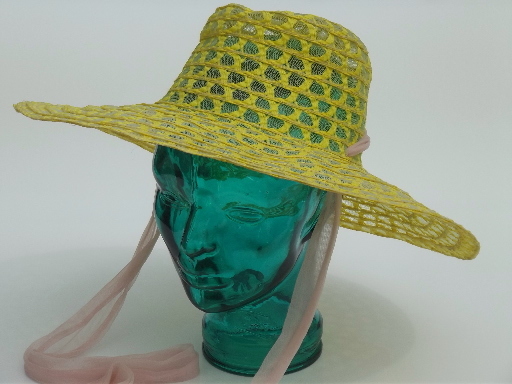 Retro sheer yellow sun hat, bright and pretty, in very good condition. 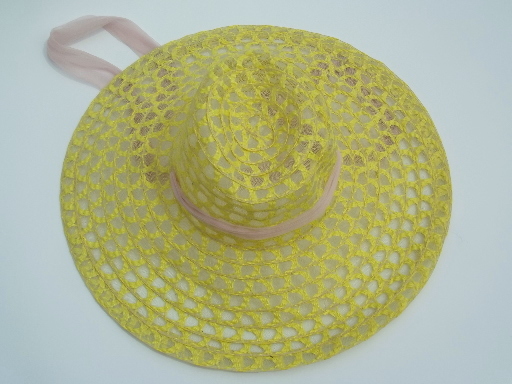 This is made in Taiwan, 70s vintage. 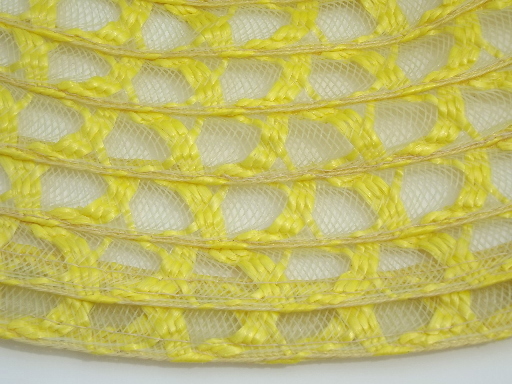 Size is fairly flexible because of the lacy fabric, looks like a one size fits (almost) all. 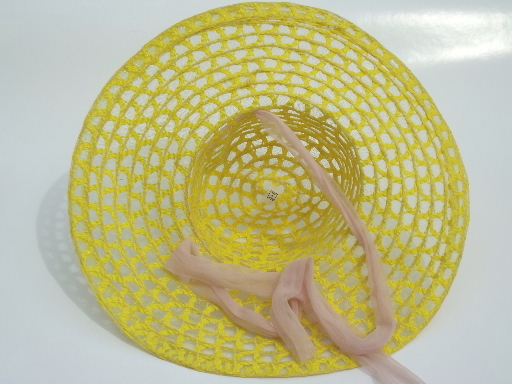 The wide brim is 5" all around.